Every night before I go to bed (in the basement)I like to open the window for a few minutes to get some fresh air. Last night I had my window only open for about 10 minutes before I had to close it because of the rain. This morning I got up and as I was getting ready I rushed around my room. As I was about to take a step I saw something squigle and squirm... it was a SNAKE!!! I hate snakes!!! I totally freaked out (especially because my bed is under the window so the snake had to have crawled through the bed with me). I ran upstairs to tell my MIL while she was teaching a piano lesson, she told my to wake my BIL up. He got up and after he caught it he told me he expected it to be a lot bigger... probably because of my screaming!!! When I got home from work today I scoured my room for more snakes, changed the sheets, and cleaned off anything it could have touched. I will not be opening my window until Dan gets home from his trip to put a screen on the window! Im not really sure how I will fall asleep tonight dreaming of snakes crawling all over me in bed! So last week I was able to go with Dan on a trip to Canada overnight. He was scheduled to fly there Friday morning and back Saturday morning. 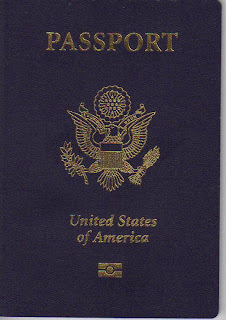 I recently recieved my passport (remember in April when I could have gone to the Bahamas but didnt have a passport? The post is in April sometime) and decided I would love to go on a flight where Dan was flying. I havent flown with Dan being the pilot since we were first married (we havent really had the extra money since then to rent a plane!). Dan was a total rock star, I have never felt a smoother take off or landing. 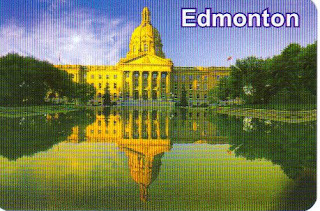 We went to Edmonton in Alberta. It was really pretty there, especially where their big river is. We didnt really do much, we went to lunch and walked around their mall. The mall there is the 2nd biggest mall in the world and is pretty amazing. It has an amusment park, a waterpark, a big lake with submarine rides in it. There was also a spot where they had flamingos, walruses, and sharks. We also saw a store called 2 men and a pipe with a big pot leaf picture on the front of the store... is marijuana legal there? I started back to work this week, back to real life! I think I will really enjoy my job, I will be drawing blood at a doctors office a few minutes from my house. It is across the street from a Target and big shopping center! Okay, maybe its 4 posts today! Tomorrow Im doing something, and using something I never have before. Anyone care to take a guess? Im really excited and will probably blog about it asap! Sorry, 3 posts in one day! On Wednesday Dan and I went on a date in my moms fun new convertable down to the beach. The weather was so nice! 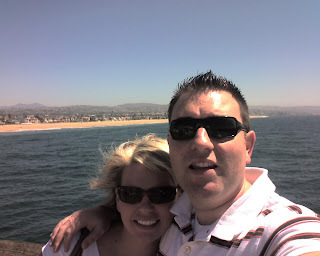 We drove down to Balboa and went to Rubys on the pier (not my favorite, I would have rather gone back to Hibachis!). We took a walk on the beach taking in all the salty air! I really miss the beach, its times like these that really make me wish it could be practical to live in Southern California. After the beach we went to Aunt Marcias to say hi and visit for a while. I love the feeling I get when I go there, its like going home! Even the smell of her house brings back so many memories of growing up and how much I still enjoy being there. She just had her hair done, I think it is a little different but really cute! Dan and I had to go home Wednesday night to take care of some things before we have to go back to work! 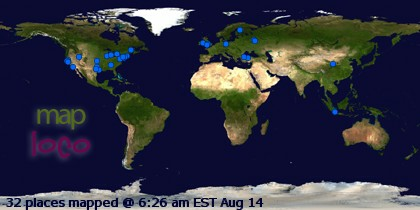 I hope everyone is doing well, hope to see you soon! I went to California on Monday to see my family before I start working again. On Monday I went to lunch with my parents and then shopping with my Mom and Whitney. I havent lived in cold weather for so long I dont even have any closed toe shoes. Ask anyone in my family, I have aweful taste when it comes to shoes, so it was great to get Whit and Moms oppinion on shoes! Monday night my parents and I went out to eat at my favorite resturaunt, Hibachis! It is a japanese steak house kind of like benihanas, but WAY better! I have been craving their food for weeks, I loved every bite. 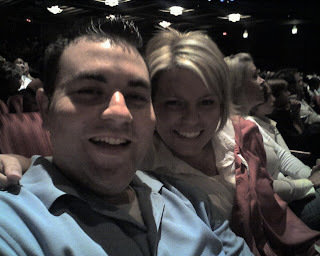 On Tuesday Dan came in and Dan, Mom, and I went down to LA to see Wicked. 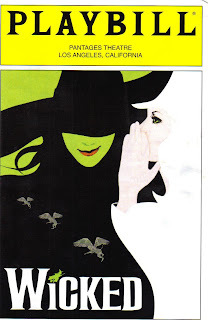 I have read the book and listened to the music so I was very excited to see the play. The play was NOTHING like the book but I loved it. The play isnt as wierd as the book! It was such a fun evening, thanks so much Mom for taking us! Dan even really loved it! Last week I went down to see Lindsey while she was sick and staying at Mandys. I taught Mandy how to crochet while I was there, and Emma took an immediate interest in what she called yarning. I let her help me with my blanket for a while, then let her pick out yarn and a hook to play with (both were pink!). 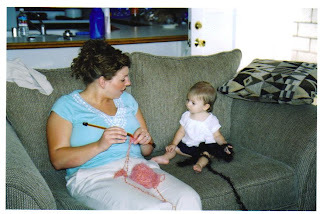 When I got home I remembered this cute picture of us knitting when she was little on vacation! oh yeah, I got my job situation all worked out. I will continue more tomorrow. I have been lucky lately to see my family so much. My mom gave me this picture last weekend, and I realized how cool my sisters are! I remember growing up all girls (plus one daddy) and loving that I didnt have brothers. I remember someone teaching all of us to say we dont like boys because they are smelly! I loved that we could always share everything (except boyfriends!). Now that we have all grown up it is so fun to get together and see will still have so much in common and so much we can still learn from each other. Mandy- I think my sister Mandy is cool because she is such a great example to all of us. She was always the peace maker in the family and still hates it when we dont get along (this usually only happens when we play cards!). She was married in the temple and is now raising two gorgous daughters. I love to watch what a great mom she is... I know she will come in handy when I need help with my own children someday! She is always calm, funny, and inviting. She never leaves anyone out. This is some of the things that make Mandy cool. Lindsey- I think Lindsey is cool because she is so strong. I think she has always been that way, atleast as long as I can remember. I know there were times when I was really mean to her growing up and she always seemed to love me no matter what. When I was moving I found an old box of memorbilia. I found a banquet book from when Lindsey and I were in cheerleading together. On her page she wrote she loved me, thought I was her best friend, and how much she would miss me the next year. She was such a strength to me in high school, and now when I see her she always seems so strong still. 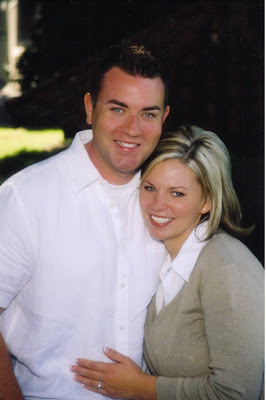 She is the Gospel Doctrine teacher in her ward (I dont think I could do that) and she knows who she is. I love that she has a strong love for the gospel and whats right. I love that she can be her own person... and she is never afraid to start a new fashion trend! This is what makes my sister Lindsey cool. Whitney- i think Whitney is cool because she is an individual! As far as I can remember she has always been doing things her own way on her own time. When she was little everyone thought she was stubborn, but I think she has always just believed in herself. I love that nobody can really ruffle Whitneys feathers. I love the example she was to many when she was married in the temple this year. Whitney always looks cute in everything and is so fashion savvy. It has been neat to watch grow into becoming a wife and embracing her new family. This is what I think is cool about Whitney. 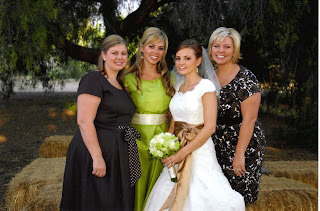 As you can see, I was so blessed to have three great sisters to always be my friends, even when I dont feel cool! This picture goes with my last blog!